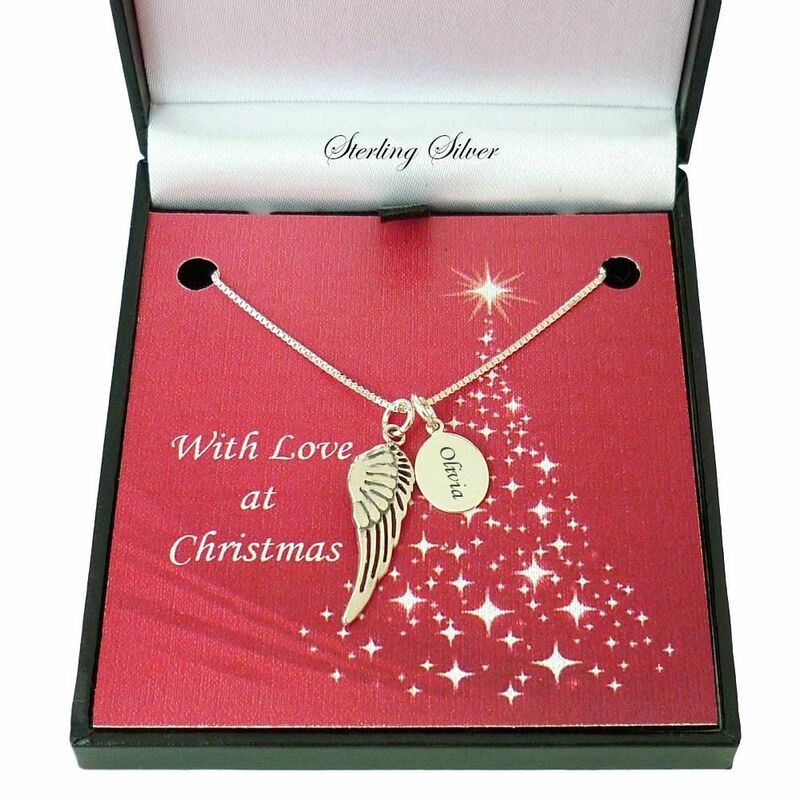 Sterling Silver Angel Wing Necklace, Personalised with Engraving for Christmas. This beautiful silver wing necklace is a lovely way to remember a lost loved one and also makes a thoughtful personalised memorial gift for someone at Christmas. Wing Pendant Size: 28mm x 9mm. 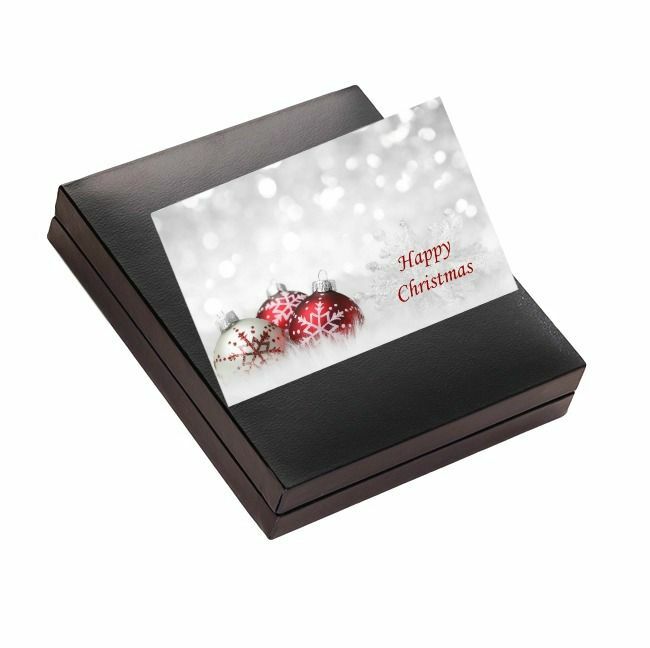 Presented in the gift box shown with the free mini Christmas gift card included. 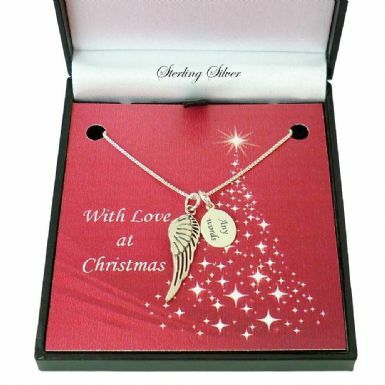 A unique Sterling silver necklace for Christmas made for an angel who deserves never to be forgotten.